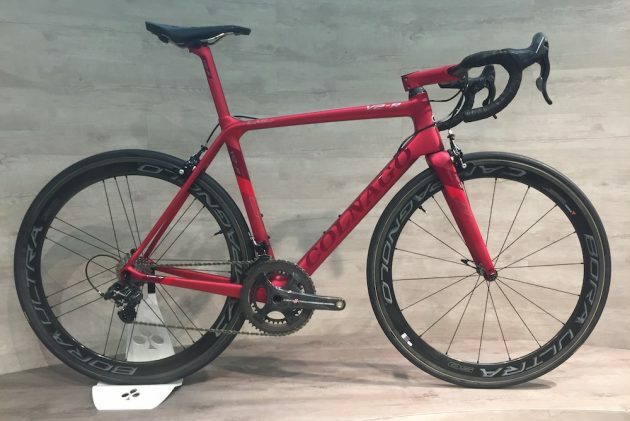 The Italian brand Colnago has finally announced that they will be updating the V1-R model that was released back in 2014/2015 this year — the new top-of-the-line aero road bike is called the V2-R. Featuring a new monocoque frame, the V2-R maintains many features from the original but a range of small refinements and will come in both rim and disc brake versions. Colnago is actually one of the world’s oldest bicycle brands, having been creating bikes since 1954. For road biking aficionados, Colnago is a brand name that equals money. This Italian brand can become quite costly, but for those who love the brand and the bikes coming out of this world-class shop, it is well worth it. 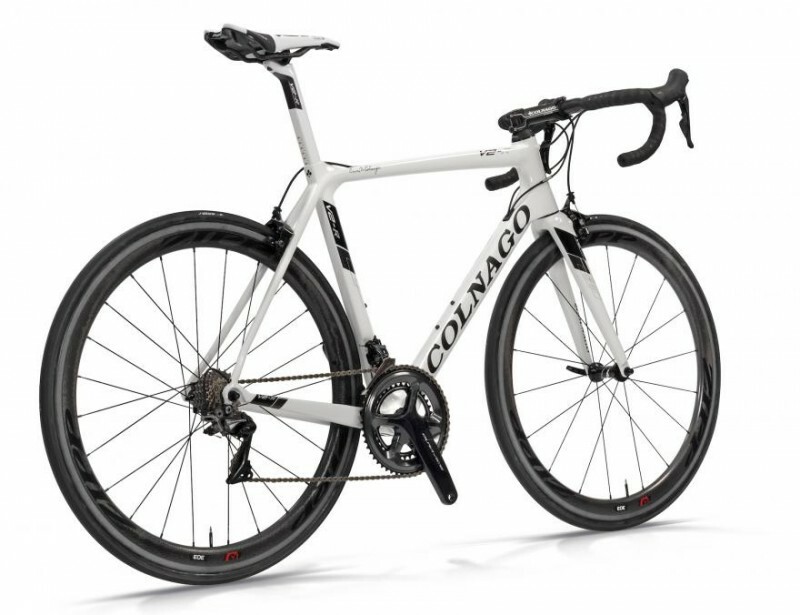 While the Colnago brand is most popular and well-known in the U.K., Italy, and throughout Europe, U.S. cyclists can also purchase this bike beginning in mid-July. The new monocoque frame is made of the same grade and construction of carbon fiber as the V1-R, but now sports an integrated seat clamp and fresh new look. The seat post clamp helps streamline the appearance of the bike. 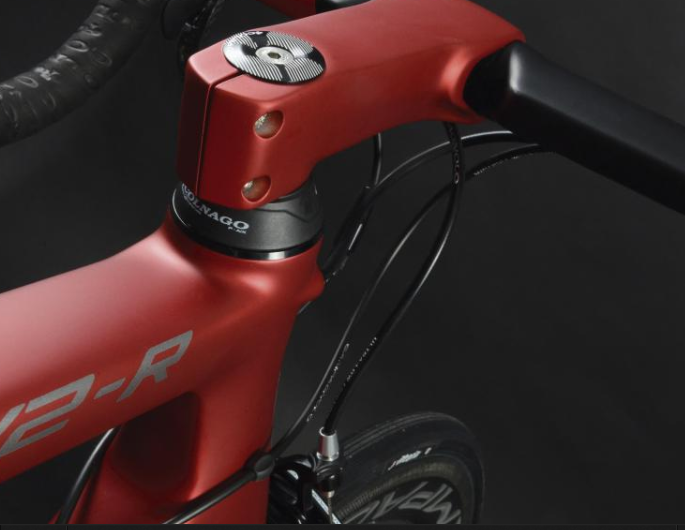 The profile is truncated and has a unique matching post, which the clamp secures to — this is designed to boost the aero efficiency of the bike. The design of the V1-R was originally a collaboration between the company and Ferrari — Colnago decided to retain the high-quality construction and methods while improving the design for the V2-R model. One of the most notable differences to the new design is the seat tube collar, which has been improved upon. The V2-R’s seat tube collar is now integrated into the frame with a wedge design; along with the integrated seatpost bolt, it presents a much cleaner look overall. 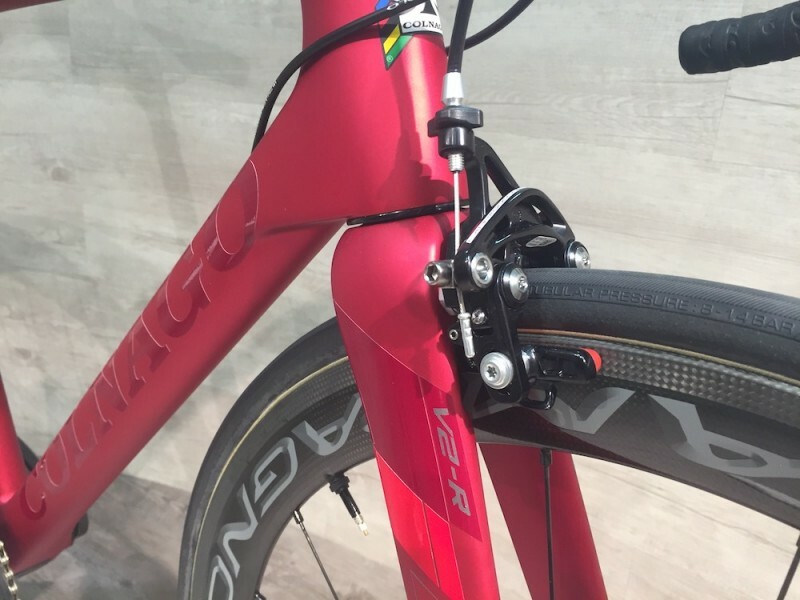 The Colnago V2-R will come in both rim and brake variants. The brake models will feature flat mount calipers and thru-axles. There is plenty of room for clearance for tires up to 28mm. While the rear brake has been migrated to its traditional spot, both the rear and front caliper are direct-mount units. 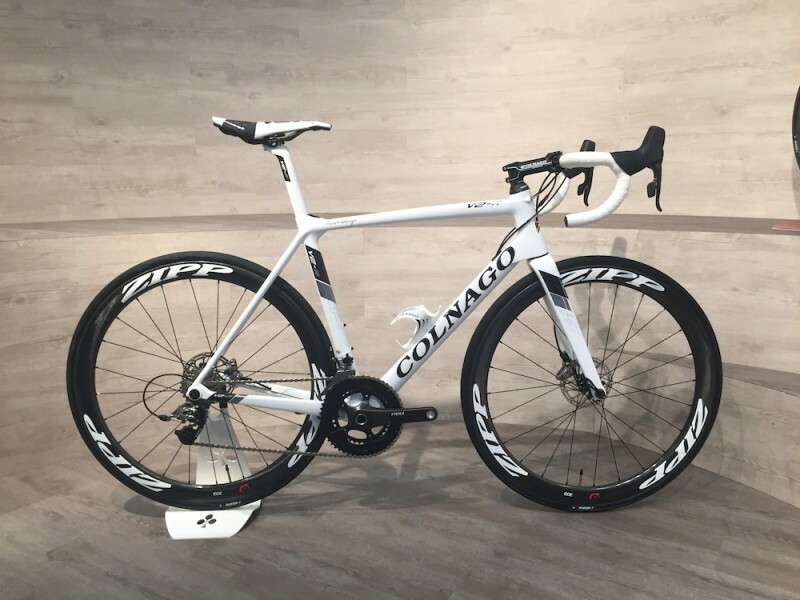 Colnago claims that this deployment results in better integration with the frame, in terms of aerodynamics and structure, along with improved braking power. Colnago did their homework on this revision, however; they tested the bike in the wind tunnel to ensure that there would be only minimal impact on aerodynamics. 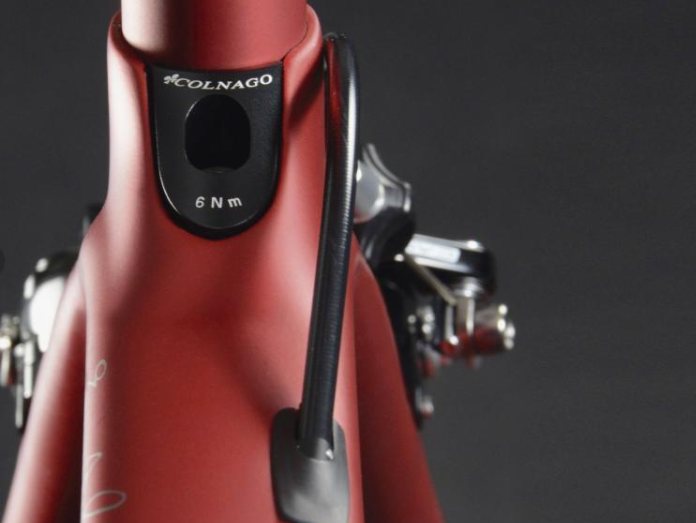 Another plus to repositioning the brake is that Colnago was able to increase the tire clearance of the V2-R, which will now allow up to 28mm tires — this is a huge deal due to the popularity of riding on wider tires when the mood suits you. This offers greater versatility to the bike with regards to where you can ride it. The head tube has increased in stiffness by 4 percent along with the 13 percent increase in the BB. 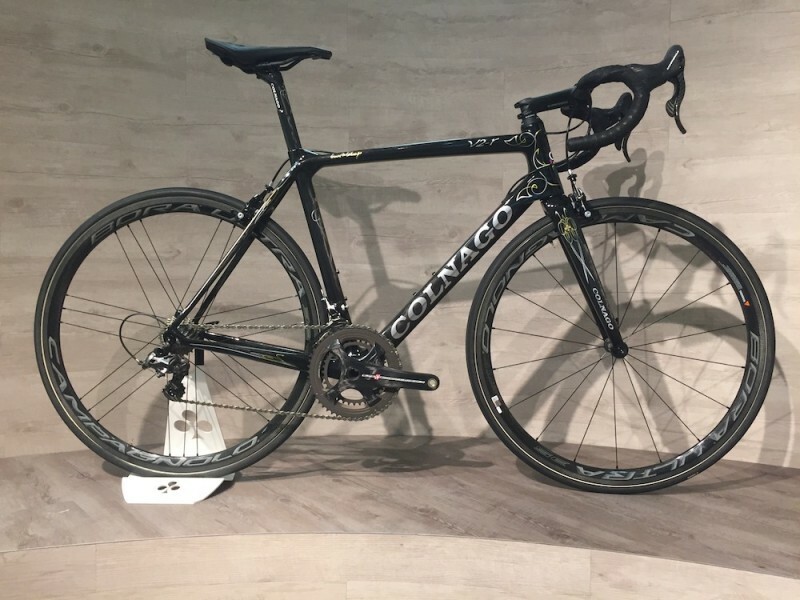 Colnago used a mix of Mitsubishi and Torayca carbon fibers and new manufacturing processes in order to achieve this. Another detail that separates the V1-R from the new V2-R is the revised geometry — with a 4mm shorter head tube, the bike is more aggressive looking and rides more aggressively as well. The down tube design also looks excellent and is very aerodynamically designed for a perfect look and riding experience. The down tube also houses the front cable port, where you can feed your cables into, which presents a very clean and tidy look for the cable integration system of this bike. The BB is Colnago’s proprietary TF82.5 threaded bottom bracket, which combines the width and improved rigidity of the PressFit standard with the practicality of a threaded bottom bracket. In the updated model, the BB has increased in stiffness by 13 percent and is the brand’s answer to replacing press-fit bottom brackets. 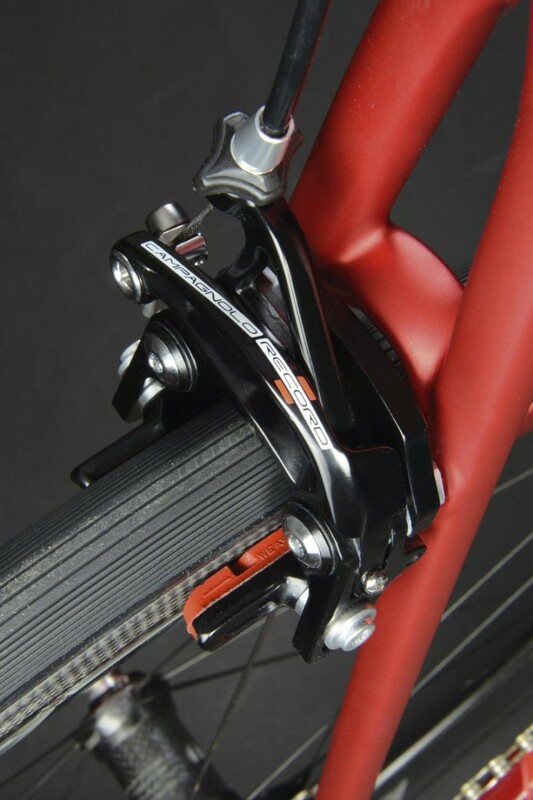 The V2-R revised the location of the rear direct-mount caliper, which is now situated on the seatstays rather than the chain. 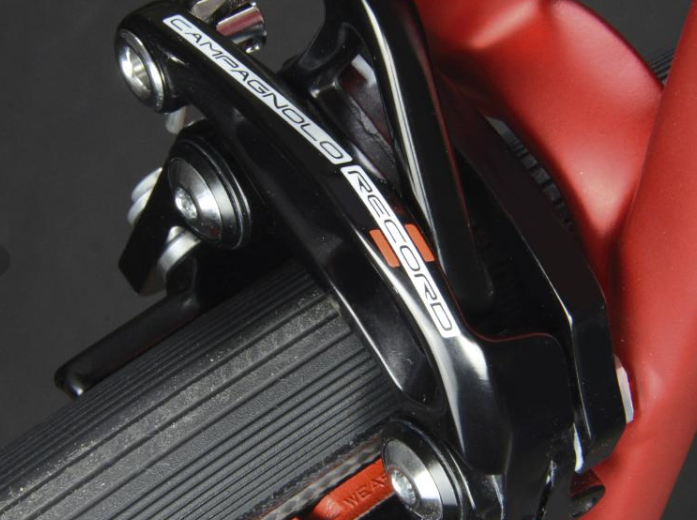 According to the brand, they made this update because the bottom bracket-mounted brake had been causing issues with both cleaning and power meter compatibility. 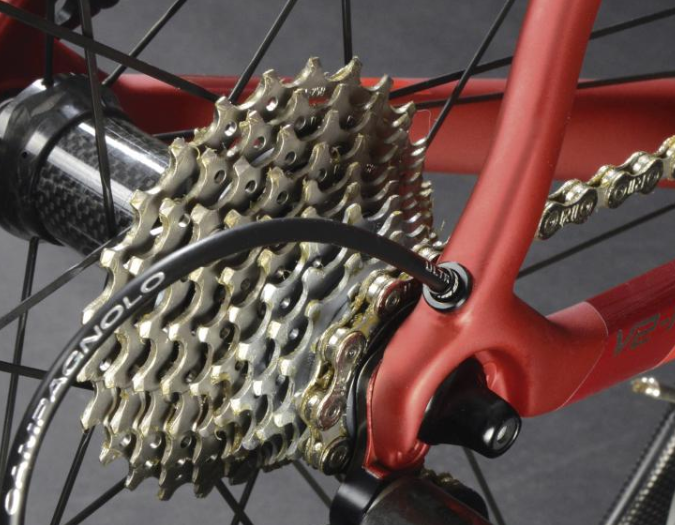 The bike features the Campagnolo Super Record groupset as well as Bora Ultra tires. The cables of the V2-R are internally routed through the top tube and a carbon cockpit is also an option. You can see the cable port on the down tube, where the cables feed in nicely and securely for a great integration system, as well as a good looking one at that. The V2-R has clearance to fit tires up to 28mm / 28c. Somehow, Colnago has managed to retain the exact weight of the V1-R, at exactly 835 grams for a medium sized frame. 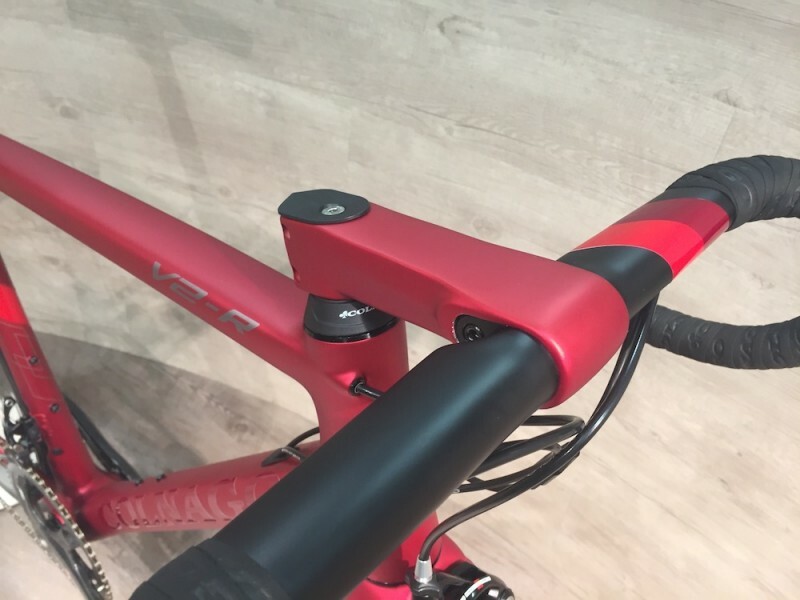 The new V2-R should become available in mid-July – the frameset will be available from 2,900 GBP while the complete build will come with an asking price of nearly 9,000 GBP. The V1-R that Colnago introduced a few years ago was a huge hit, and it was only Colnago’s first bike that was aerodynamically designed for aero aficionados. 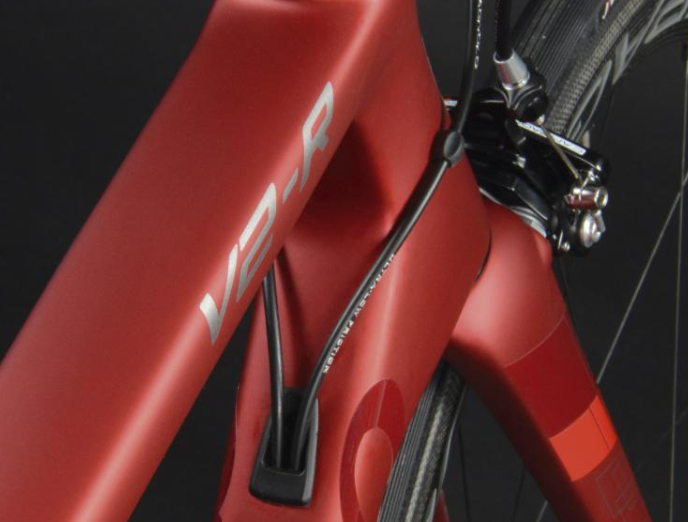 While the Concept bike, which was a fully fledge aero bike, was unveiled in the summer of 2016, it was in need of updating to ensure that the V2-R would be a bike that could compete in the aerodynamic cycling world. With beautiful updates on the V2-R, the Italian brand did not change what wasn’t broken, but focused on improving manufacturing for increased stiffness and focused on improving problem areas such as: brake mount location, cable ports, tire clearance, offering a superior groupset, improving the bottom bracket, shortening the head tube a bit, and other small changes that ends up offering a more cohesive and stunning aero bike, overall. 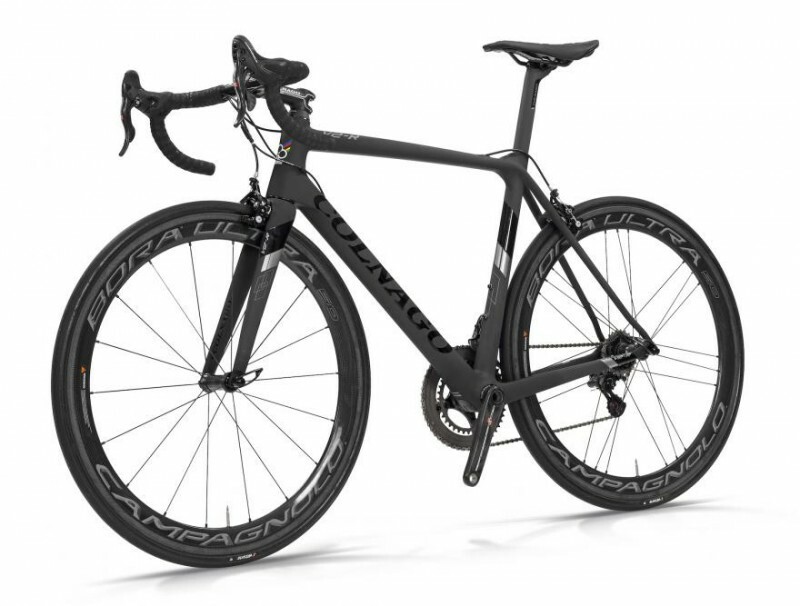 The V1-R has great performance with responsive handling, but the original had some problems with the direct mount brakes — while the original was more of a semi-aero road bike, and the V2-R pretty much retains the same design, it is definitely more aerodynamic due to some geometry changes, increased speed, and small fixes to component placement and quality. Overall, the V2-R is a seriously sleek and stunning aero road bike and will draw in any cyclist to its beautiful aero curves, great component parts, and improved stiffness and geometry changes. 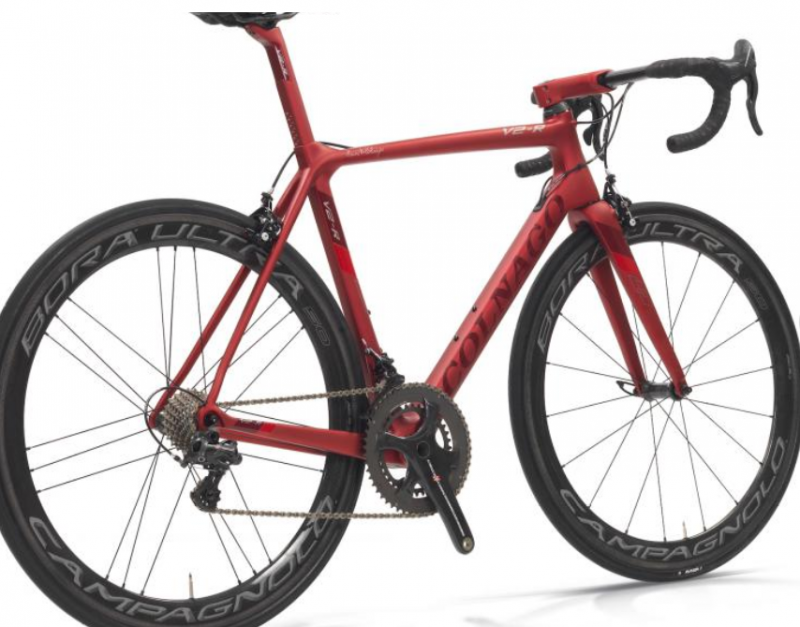 Of course, a bike like this will definitely cost you — the Italian brand is known for their price tags, but if you have the money and are a serious cyclist, this is definitely an aero bike to consider.